Our new Slouchy Chain Hobo is a stunning piece. It is made in a high quality, soft grain black leather and is durable, stylish and versatile.The bag features three detachable straps which all give very different looks. The part leather/chain strap lends a edgy feel, the adjustable length black and white webbing strap gives a sporty feel, and the shorter shoulder strap looks like you mean business.It's big enough to fit a lap-top for working on the go, perfect for weekends away, and days out shopping. 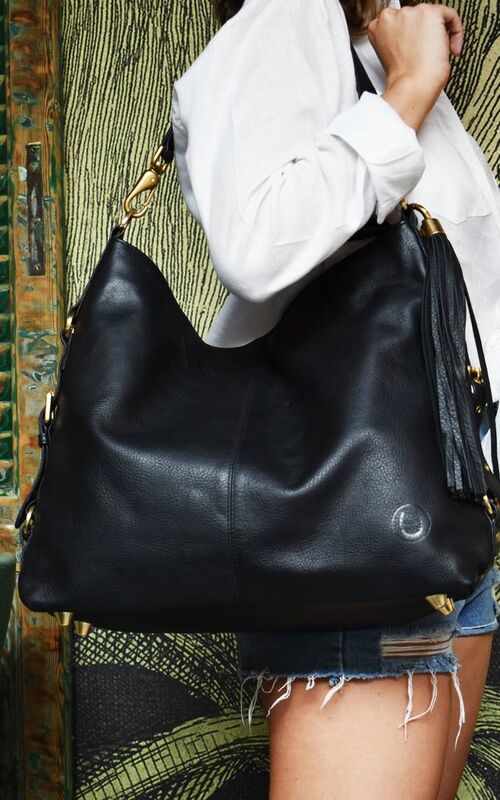 This will become your perfect everyday bag.Worn either way, the bag has a beautiful, sleek, soft silhouette. 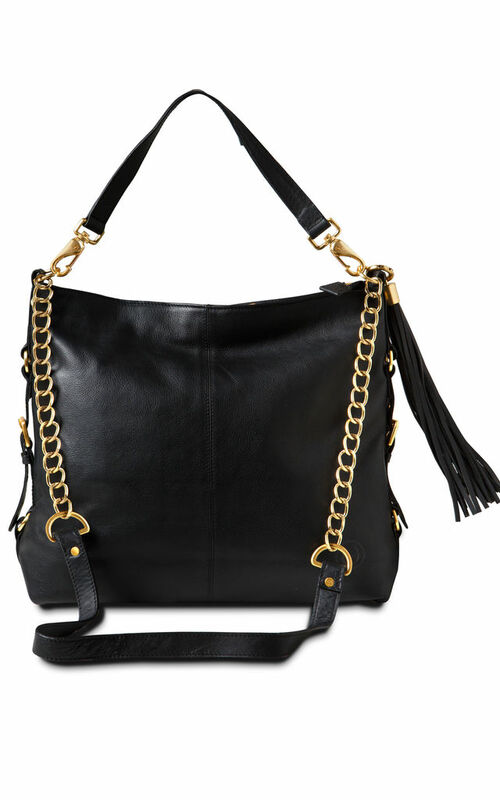 It features a long detachable leather tassel for a luxe feel.Fully lined, with leather trimmed interior. There is a large, zipped interior pocket on the bag wall of the bag, and two leather lined interior slip pockets for easy access to tech. Brushed gold coloured hardware, and feet on base of bag for added protection.